In May 2016, City Developments Limited (CDL) released the first phase of units for sale at Gramercy Park and 84% (or 73 units) of the released units in the North Tower were sold. Under Phase 2, which was released at the end of March 2017, saw 19 out of 20 units in the South Tower released being snapped up to-date. According to CDL, in terms of average pricing at Gramercy Park, it has risen from more than S$2,600 psf under Phase 1 to more than S$2,800 under Phase 2 sales. It was mentioned that the early-bird pricing for Gramercy Park’s South Tower starts from around S$3.4 million for a 2-bedroom plus study units, S$5.1 million for 3-bedder and S$6.8 million for a 4-bedroom apartment. Also, a deferred payment scheme (or DPS) is made available for a limited amount of units. Property analysts believed that there are certainly signs of the high-end property segment recovering. They have attributed one of the reasons to the government’s recent tweak in property cooling measures back in March 2017 – reducing the amount of seller’s stamp duty rate payable and also the period from 4 years to 3 years. With those tweaks in the cooling measures, property buyers who are sitting on the sidelines seem to be hopeful for the unwinding of more measures in future, as they await the right opportunity to enter the market. Based on data from URA, a total of 1,084 transactions were concluded in the Core Central Region (CCR) from January 2017 to April 2017 – which works out to be 35% more than the 802 transacted units within the same 4-month period in year 2016. In order to drive sales and entice more property buyers, especially for those projects which are due for the Additional Buyers’ Stamp Duty (ABSD) or Qualifying Certificate (QC) stipulation, various incentive schemes have been introduced, be it in the form of deferred payment, reimbursements or direct discounts. One of them is the Mon Jervois by UIC, who had to fork out an ABSD charge of S$14.8 million as they were unable to sell all its units by the deadline – which was 08 February 2017. As of 15 May 2017, there are still 27 out of the total 109 units at Mon Jervois left unsold. UIC is currently offering prospects a cash rebate of 15% (of the purchase price) and also interior design and furnishing packages for selected units only. Looking at the price, it does seem like it has also crept up at Mon Jervois – from a range of S$1,752 to S$2,041 psf in the first 4 months of 2017, to S$2,220 to S$2,256. This could spell good news for a nearby launch of boutique development 38 Jervois – a freehold project which has a slightly lower price point than the leasehold Mon Jervois. Another project making the headlines would be Leedon Residence by GuocoLand, which managed to sell 55 out of its remaining 95 units within the first 4 months of 2017. 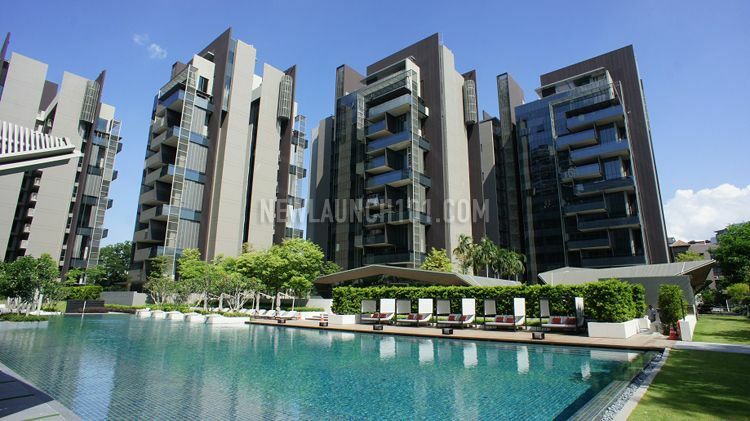 Units at Leedon Residence are selling at a range between S$2.35 million (or S$2,250 psf) for a 2-bedroom unit to S$10.2 million (or S$2,168 psf) for a 5-bedroom unit. It was noted that GuocoLand has offered Deferred Payment Scheme and also special promotional pricing for its selected units at Leedon Residence. In fact, it was OUE Twin Peaks which started with the DPS in April 2016. To-date, the luxury residential project has only 20 units left unsold (out of the 462 units in total). It was also mentioned that prices have also increased at OUE Twin Peaks, with many of the units on the higher floor levels sold at more than S$3,000 psf. According to some market watchers, the number of high-end projects to be launched for sale in the CCR will be very limited, with only Martin Modern at Martin Place by GuocoLand and New Futura by CDL being the most prominent of all. They reckon that sentiments in the luxury market will still remain on a good note, maintaining a strong buying interest which will help drive a recovery in price.